Finally finished off Crysis 2 and what a damn fine game that was. Gorgeous looking, awesome gameplay (aside from some weird AI moments) and an absolute treat to play. I ended up going heavy stealth like I usually do in games that offer it, but in Crysis 2 it sometimes feels like cheating. Oh well, I am certainly on-board for Crysis 3. That done, I'm finally on to Farcry 3 (top pic) which is amazing so far and looks incredible. I haven't played enough to really comment, but everything seems in place for an amazing time. I really wish someone would bring back the laying on your back and crawling under huts like in Farcry Instinct, I thought that was a great mechanic. 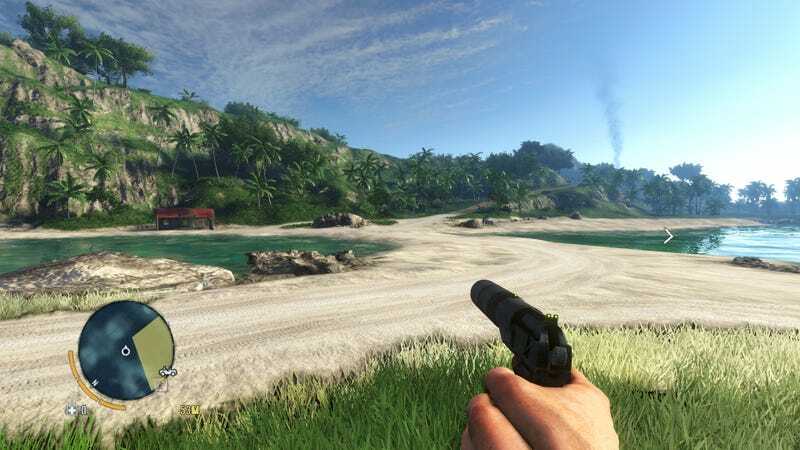 Took me a long time to get Farcry 3 configured on the PC to run well. I am still running in Ultra, but it is the first game I've play on my PC that's really started to chug (before I optimized the game). I still generally get 60fps, but it took some doing. Thanks to the Steam Forums for all the help. But damn I wish I could use the 360 controller and the mouse and keyboard at the same time. What's up with that not working? I was getting used to most games being able to pick up the 360 controller every time I got in to a vehicle and using mouse and keyboard on foot...Ubi should fix that. Oh and a BIG middle finger to Ubi for NOT letting me skip the opening cutscene. What a bloody nightmare that was trying different configs and testing framerates. Xander got Lego City Undercover for the WiiU from my parentals for Easter. It has been fun watching him play his first real open world game and he's been doing really well. Load times are kinda brutal when they happen, but I'll likely give it a spin at some point. Certainly was nice to literally dust off the WiiU. So, whatcha playing this weekend?